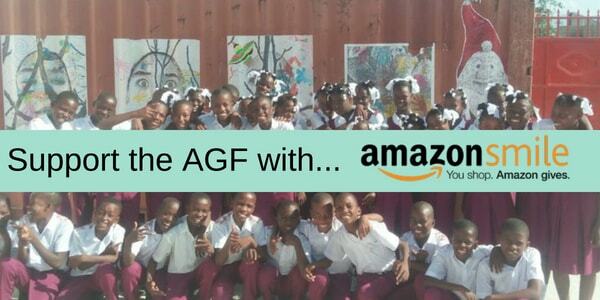 There’s now a quick and easy way you can help show your support for the AGF while you shop on Amazon. It’s called Amazon Smile and is an initiative set up by Amazon to help charities like the Andrew Grene Foundation to raise funds while you shop. Find out more about how you can use Amazon Smile to donate while you shop. Setting up Amazon Smile is really simple. All you have to do, is visit smile.amazon.co.uk or smile.amazon.com, login with your Amazon account details and search for ‘Andrew Grene Foundation’ to choose us as your selected charity. This will then choose us to donate to when you shop via Amazon Smile. It’s the same Amazon. The same products, no mark-ups and nothing is any more expensive than it usually is. It works by Amazon donating 0.5% of the net purchase price (excluding VAT, returns and shipping fees) of eligible purchases to your selected charity. After set up, all you need to do is make sure you start your Amazon shopping journey via the smile.amazon site rather than the usual Amazon to let them know you’d like the donation to be made to us. What other ways can I help support the AGF without spending an extra penny? As well as Amazon Smile, you can also choose companies to donate via Give as you Live which covers a number of other online shops. How much difference could it make? 0.5% may not sound a lot, but if only 30 people on average spends £500 a year on Amazon, then collectively they’d help to raise £75 in a year without spending anything extra. This equates to $100 which would cover 248 hot lunches at the Andrew Grene High School. Looking for more ways to donate? Check out our donate page now.